Hamas’s refugee affairs department denounced on Monday the Egyptian decision on 56 Palestinian refugees of Syria who are stranded in Egypt. The decision gives the stranded refugees two choices only either to go back to Syria where they might be killed or to be imprisoned in Egyptian jails. In a statement on Monday, the Hamas department asked the Egyptian authorities to allow the Palestinian refugees to choose the places they like to head to. 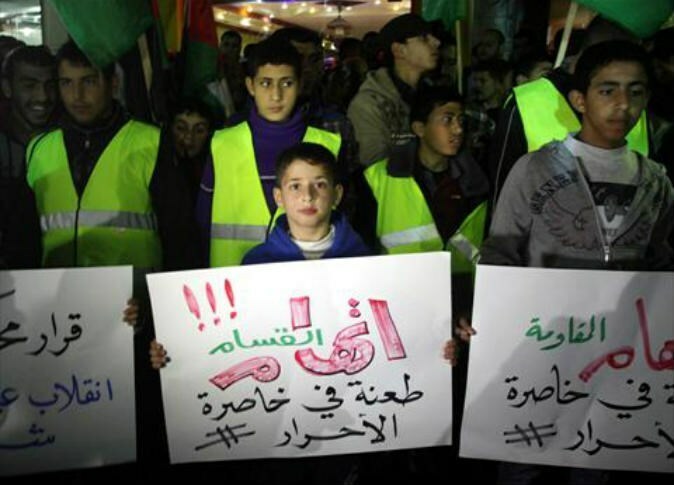 Hamas’s refugee affairs department asked the UNHCR and UNRWA to do their duties since the Palestinian refugees of Syria are included in The 1951 Refugee Convention. The department charged the Palestinian Authority represented by its Ambassador to Cairo Jamal al-Shobaki with full responsibility for the fate of those refugees. It also asked the Ambassador to solve the issue of those stranded refugees in Egypt as soon as possible. Three Palestinian gunmen were killed by the Egyptian military when they tried to enter Sinai through a tunnel in the border town of Rafah, security officials told AFP on Wednesday. The sources said the "armed Palestinians" clashed with military personnel on the Gaza border after the gunmen infiltrated the town through a passageway used to smuggle fuel and food supplies, due to the Israeli blockade over Gaza which has been going for over 7 years now. Egypt's army has cracked down on smuggling tunnels in the past few months and said it has destroyed hundreds of them since Mohammed Morsi's ousting in 2013. Cairo accuses Gaza's governing party, Hamas (Islamic resistance movement) of using the tunnels to aid extremists who regularly launch attacks in Sinai. Mohamed’s wife with their three children. On the 3rd of May, the trial of nine Palestinian fishermen kidnapped by the Egyptian army while fishing in waters of the border city of Rafah, took place in the Egyptian city of Al Arish. Three of the fishermen are brothers, Ali Abu Hamada, 36 years old, with eight children, Mahmoud Abu Hamada, 22 years old, and Mohamed Abu Hamada, 32 years old with three children. Among the hostages there’s also a 13 years old boy. Since the end of the last massacre in Gaza the situation of the fishermen has been worse than ever. They don’t even dare to reach the four mile limit. Despite the fact that, officially, the sea blockade imposed by the Israeli state starts at six miles, the attacks on the fishermen are continuous even as close as two miles out. 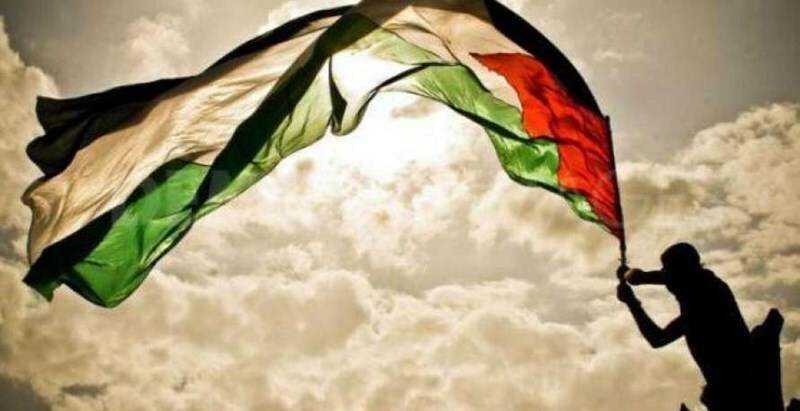 Palestinians locked in Gaza tell us how much the position of the Eyptian government and its total coordination with the Israeli state regarding the policies towards the Palestinian people surprises and saddens them. To the destruction of the tunnels that supplied the fishermen with fiberglass, necessary to fix the bullet holes in their boats, and the spare parts for engines, has, in recent months, been added the abduction of Palestinian fishermen and vessels that fish near Egyptian waters. 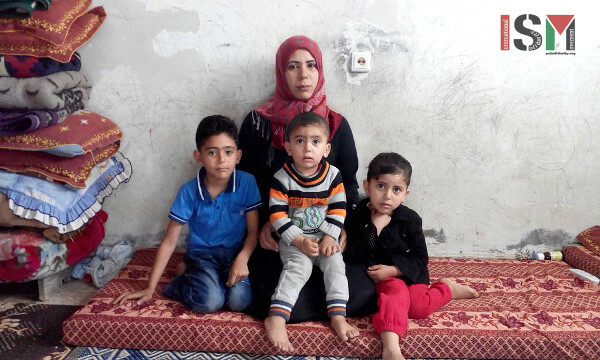 The mother of the three brothers, Nasmiya, native of Yibna, a Palestinian village wiped out by Israeli colonialism during the Nakba, described the umpteenth misfortune that the creation of the State of Israel in Paletine has brought to her life. On the 16th March 2015, her sons, along with six other fishermen from Al Shati refugee camp, located in the Northern part of the Gaza Strip, headed south to the city of Rafah, trying to escape from the continuous attacks of the Israeli occupation forces and looking for less polluted and exploited waters. The day after, the family received a phone call from the Egyptian army telling her that the nine fishermen were dead and that their bodies were in Egypt, ready to be returned the next time Rafah border opened. It wasn’t until two weeks later when one of her sons managed to take a picture of the nine men and sent it to his mother, that she knew they were still alive. Despite the bad quality of the picture, the signs of torture on their bodies was clear; cigarette burns, black eyes, wounds and bruises. For security reasons Nasmiya asks us not to publish the picture. The family still doesn’t know the outcome of the trial, and no one dares to make predictions. 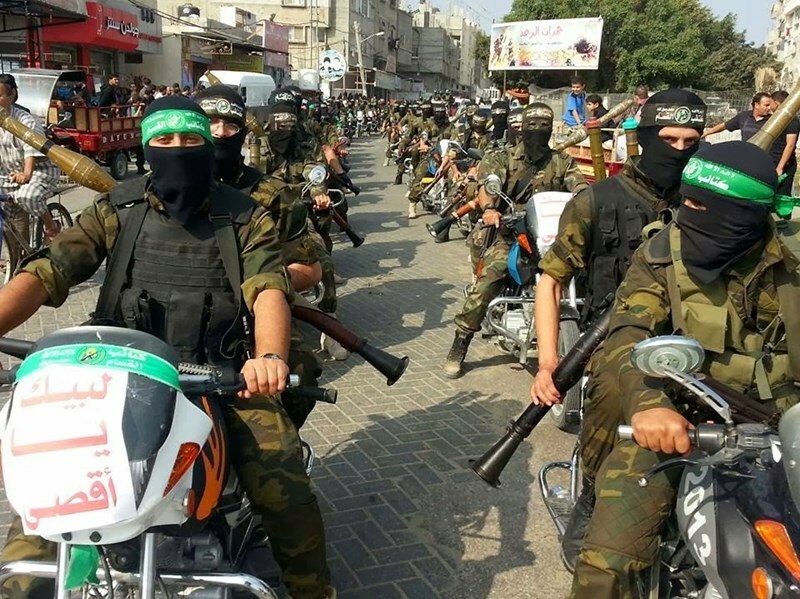 The Islamic Resistance Movement, Hamas, denied claims that two of the group’s members might have been arrested by the Egyptian authorities near the Sinai Peninsula. Hamas spokesman Fawzi Barhoum said in a statement issued Monday that rumors propagated by unreliable media sources claiming Egyptian security forces arrested two Palestinian brothers in al-Arish, in the northern Sinai Peninsula, alleging the two belong to Hamas and its armed wing, the Izz al-Din al-Qassam Brigades, are just groundless and false. “Such rumors make part of the ad hominem campaign targeting Hamas and its heroic achievements,” he added. “Al-Qassam’s and Hamas’s battlefield is Palestine only; their enemy the Israeli occupation; the destination of their resistance weapons Israelis. All the conspiracies weaved against al-Qassam’s history are just doomed to failure,” he further emphasized. Earlier, Egyptian media sources claimed two brothers affiliated with al-Qassam Brigades were captured by the Egyptian army in Sinai. The Egyptian army has destroyed 69 tunnels along the border with the Gaza Strip since Mar. 28, an Egyptian army spokesman said Saturday. 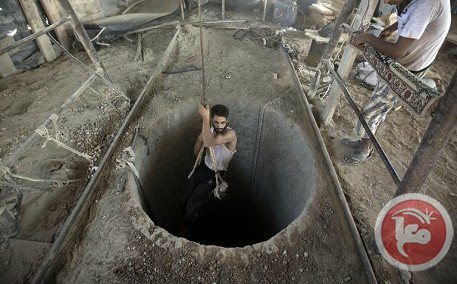 Spokesman Muhammad Samir said that Egyptian border forces stationed in the Egyptian side of Rafah had discovered and destroyed the tunnels in coordination with army engineers. In a statement released last month, Samir said the army had destroyed 194 tunnels between Feb. 1 and Mar. 19, and another statement at the end of March said that 22 tunnels had been destroyed between Mar. 20-27. The latest 69 puts the total number of tunnels destroyed at 285 since February. Earlier this month, the Egyptian Cabinet approved a draft resolution criminalizing the act of tunnel-digging along Egyptian borders with the punishment of life imprisonment. 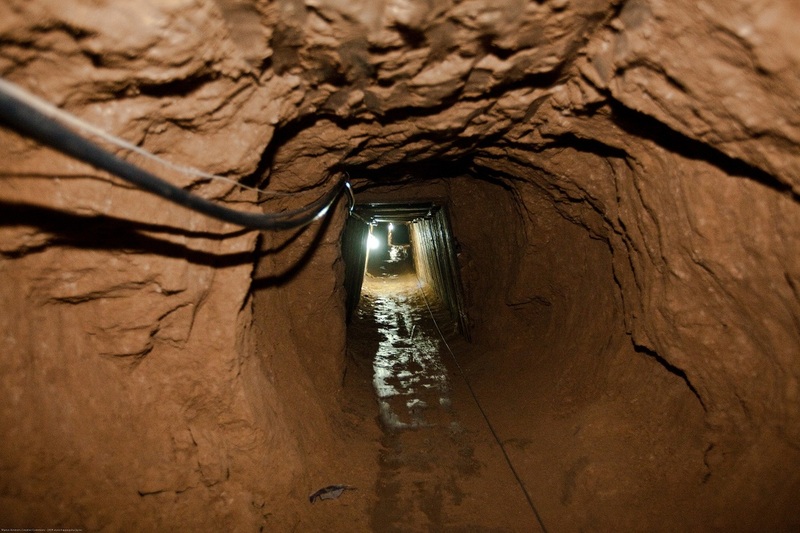 The smuggling tunnels have served as a lifeline to the outside world for Gaza's 1.8 million inhabitants since Israel imposed a crippling siege on the coastal enclave in 2007, which is supported by Egypt. Egypt has sought to destroy the tunnels as part of an ongoing security campaign in the northern Sinai against anti-regime militants launching attacks on Egyptian police and military personnel. The Egyptian army stepped up the campaign after a bombing killed more than 30 Egyptian soldiers in the region in October 2014. Egypt accuses Hamas of supporting the group that carried out the attack and has since accelerated efforts to uncover tunnels and create a 1 km-wide buffer zone along the border. Around 1,110 houses on the Egyptian side have been demolished to make way for the buffer zone and more than 1,000 families have been displaced. Hamas, which denies Egyptian accusations, has suffered poor relations with the Egyptian government ever since the democratically-elected Muslim Brotherhood, with whom they were closely allied, was thrown out of power in July 2013. The Egyptian army has destroyed hundreds of smuggling tunnels since then, though new ones continue to be found. At the end of March, the longest tunnel so far was discovered, stretching 2.8 km and passing beneath three homes in the Egyptian side of Rafah. At the time of its discovery, Egyptian military sources told Ma'an that the tunnel was three meters below ground and was being used to smuggle people, weapons and goods. Although the Egyptian government dropped their classification of Hamas as a terrorist movement in March, Palestinians continue to face closures and restrictions at the Rafah border crossing. Military assistance to include 12 F-16 fighter jets, 20 missiles and up to 125 tank kits in effort to boost Cairo's ability to combat extremist threat in region. President Barack Obama on Tuesday released military aid to Egypt that was suspended after the 2013 overthrow of the government, in an effort to boost Cairo's ability to combat the extremist threat in the region. The White House said Obama notified Egyptian President Abdel-Fattah el-Sissi in a phone call Tuesday that the US would be sending 12 F-16 fighter jets, 20 missiles and up to 125 tank kits, while continuing to request $1.3 billion in military assistance for Egypt. The White House said that would make Egypt the second-largest recipient of US foreign military financing worldwide. The funds were suspended 21 months ago when el-Sissi, then military chief, overthrew Egypt's first democratically elected leader, Islamist President Mohammed Morsi. But Washington could not provide almost half of the annual aid package – along with assistance held up from previous years – until it certified advances by el-Sissi's government on democracy, human rights and rule of law or issued a declaration that such aid is in the interests of U.S. national security. The US has been providing hundreds of millions in counterterrorism assistance to its ally, which didn't stall as a result of the government overthrow. Egypt has been arguing it needs the money to face growing threats from extremists creeping over the border from lawless Libya or operating in the Sinai Peninsula, and the U.S. sees the funds as critical for stability in the volatile Middle East. The aid comes as Egypt is trying to play a leading role in forming an Arab military alliance that can fight terrorism in the region. The White House said it is not issuing a certification that Egypt has made progress toward democracy. Instead, the US said it is maintaining that the aid is in the interest of US national security. The White House said in Obama's call to el-Sissi, he "explained that these and other steps will help refine our military assistance relationship so that it is better positioned to address the shared challenges to US and Egyptian interests in an unstable region, consistent with the longstanding strategic partnership between our two countries." The White House said Obama also reiterated US concerns about Egypt's continued imprisonment of activists and encouraged increased respect for freedom of speech and assembly. A court in Egypt has sentenced a man and woman to lengthy jail terms and slapped them with large fines after convicting them of spying for Israel, a judicial official said Saturday. Their two accomplices -- Israeli intelligence officials -- were sentenced in absentia to life terms, the official added. 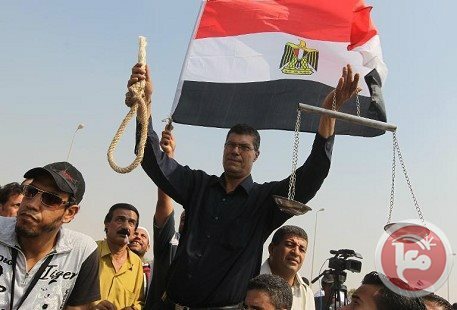 The man, Ramzy al-Shebini, was sentenced to life, and the woman, Sahar Salama, to 15 years. In Egypt, a life term generally means 25 years. The charge sheet said that, between 2008 and 2012, the two agreed to pass on to the Israelis "strategic information relating to the country's internal situation and information about the military's acquisition of German submarines." Egypt has maintained a peace treaty with Israel since 1979 and is generally seen as a close ally of the country, which it neighbors to the East. Despite this, there is widespread dislike and suspicion toward Israel inside the country. President Mahmoud Abbas said at an Egyptian-hosted Arab summit on Saturday that the Palestinian relationship with Israel cannot continue as it has in recent years. 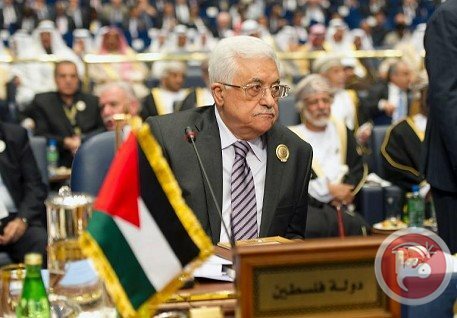 Speaking at the 26th Arab summit, which convened in the Egyptian town of Sharm el-Sheikh on Friday, Abbas said that Israel had taken over the Palestinian Authority's powers and responsibilities, citing in particular the confiscation of Palestinian tax revenues. He said: "We have decided to re-evaluate our economic, political and security relationship with Israel, and will be holding elections as soon as possible." Speaking against "normalizing relations with Israel," he said: "We are looking forward to activating an Arab financial security net." Israeli authorities said on Friday that they would be releasing hundreds of millions of dollars in tax funds they had been withholding from the Palestinian Authority as a punitive measure for joining the International Criminal Court. However, they did not confirm whether they would be resuming the normal monthly payment of around $127 million in customs duties, and Palestinian authorities have reacted cautiously to the news. The president used his speech to warn of a possible future in which the West Bank and the Gaza Strip become separate states, leaving Jerusalem and the Palestinian refugee crisis forgotten, adding that he hoped the summit would condemn and refuse any proposals that might lead to such a scenario. Abbas said that it would not be long before Israel's annexation of East Jerusalem was complete. Despite the reconciliation government between Fatah and Hamas, he also said that the main obstacles to the reconstruction of Gaza were set by Israel on one side and Hamas on the other. Abbas also offered Palestinian support for the Saudi-led Arab coalition "designed to maintain the unity of Yemen." Egyptian President Abdel Fattah al-Sisi is hoping to use the backdrop of operations in Yemen to create a joint Arab military force to potentially combat militants hostile to his regime, in Libya and the northern Sinai. Fourteen Arab presidents, kings, and emirs were in attendance at the summit which will continue through to Sunday and will ultimately address 11 issues, largely dominated by discussions on the creation of a joint Arab force, but also including the Palestine-Israel conflict and recent developments in Syria, Libya and Yemen. The Palestinian Minister of Foreign Affairs Riyad al-Maliki earlier told Ma'an that the objectives of the summit were the clearest in 40 years, not only regarding military operations in Yemen, but also support for the Palestinian cause. 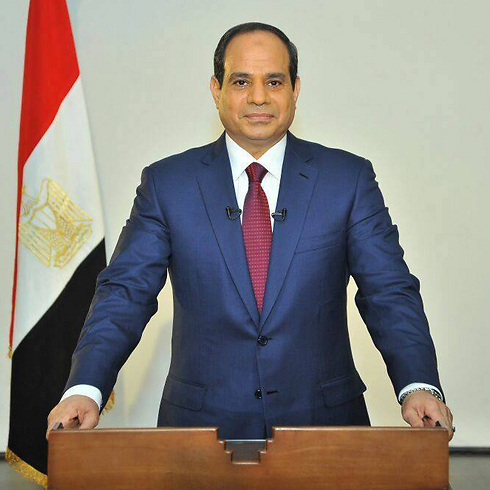 Sisi earlier on Saturday demanded an end to the Israeli occupation of Palestinian land in accordance with past international resolutions, in particular citing the 2002 Arab Peace Initiative. The Emir of Kuwait Sabah al-Ahmad al-Sabah also said that the Palestinian cause was a priority for Arabs. The peace initiative in 2002 was approved at an Arab Summit in Beirut and offered normalized relations between Israel and the Arab world in exchange for withdrawal from the occupied territories, including Jerusalem, and a "just settlement" for the Palestinian refugee crisis. Ahead of last year's summit in Kuwait, officials told Ma'an that Arab envoys were considering withdrawing the Arab Peace Initiative, but to date it remains the most comprehensive proposal. Hamas Movement welcomed on Friday an Egyptian decision to remove the group from terror list, considering it a correction of an earlier mistake. An Egyptian lawyer has earlier withdrawn his lawsuit against Hamas declaring the group ‘terrorist group’. The lawyer’s case withdrawal will automatically cancel the verdict, so that the Egyptian government's appeal against it would be "unacceptable". The decision is a positive step towards repairing relations between Egypt and Palestinians living in Gaza,” spokesman for the Movement Salah Al-Bardawil said. “We hope to see a reversal of the al-Qassam Brigades ruling, and the permanent opening of the Rafah crossing to support the Palestinian people's steadfastness in face of the Israeli occupation,” he added. 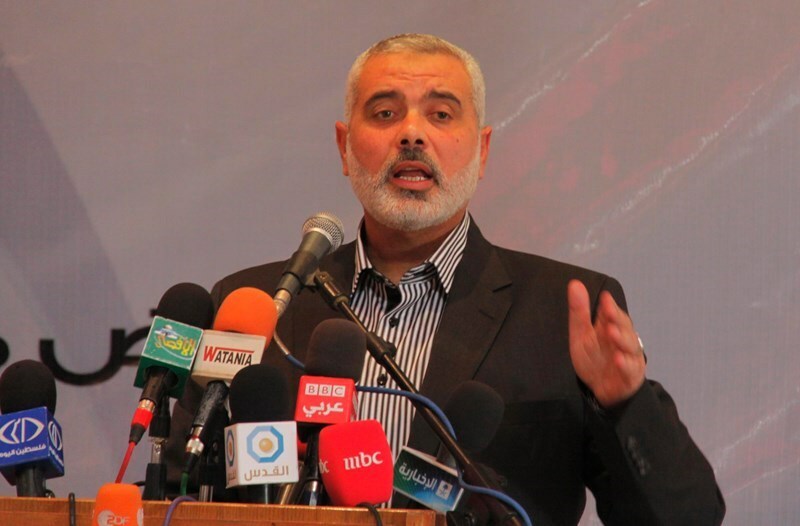 The Cairo Court for Urgent Matters on 28 February designated Hamas as a terrorist organization. The ruling was considered by Hamas as a political decision before being appealed by the Egyptian government on March 11. The Cairo Appeal Court for Urgent Matters was supposed to decide on the matter on Saturday.